In this, the age of the computer, if would be difficult to find any person that would submit a hand-written school essay. Back in the dark ages when many of today’s baby boomers went to school handwriting was taught with a pen and ink. Copy books were submitted to the teacher in the hope of gaining a special merit if the letters of the alphabet were formed with precision. Later on, the baby boomers progressed to writing essays in biro. Mistakes were corrected with an eraser taking care not rub a hole in the paper. So let’s prepare a handwritten essay with one prepared on a computer. 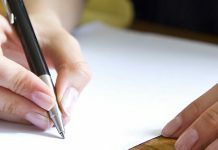 Granted that a handwritten essay gives the writer an opportunity to display their grasp of calligraphy however if their handwriting resembles hieroglyphics then the writer may be asked to re submit the essay type written. The pro then becomes outweighed by the con. It would be rare for a handwritten essay not to be completed without one or two spelling mistakes. 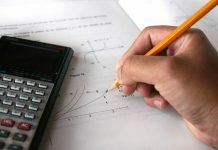 If however the writer has done so or discovered the errors and corrected them then the essay may give the impression that the writer has good skills in English. That could be a pro especially with words that sound the same but are spelled differently. Words such as there and their, war and wore, etc. Spell check on a computer would not pick up words spelled correctly but are out of context. Baby boomers, when given the task of writing essays in exams under pressure, would in some instances write complete sentences that they wish they had never written. These sentences had to be deleted by ruling a line through the entire length or be erased somehow. Quite often time did not permit erasure, so the essay contained a few paragraphs of deleted sentences ruled out as neatly as possible. 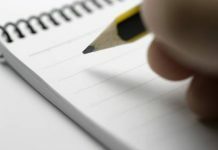 One pro maybe that if the essay did not contain any sentences ruled out then it may demonstrate the writer’s ability to actually think ahead before putting pen to paper. Computers, on the other hand, allow a writer to ramble on for ages writing complete dribble. Sooner or later the writer may realize that they have strayed off the topic and deletion then is a simple matter. So deletions for a hand written essay is a con. Baby boomers when writing essays who needed factual information could only resort to books on hand. The computer gives access to factual information on the spot with a volume that would easily surpass any books held by baby boomers. Handwritten essays use paper the same as a computer. The big difference is that many pages could be torn up if the writer has several false starts. Baby boomers used carbon paper if they wanted a copy of anything hand written. Computers, of course, allow storage as “Save” and also allow the writer to print as many copies as needed. Could be seen as a con. Carbon paper is messy however in most cases copies of essays are not required. 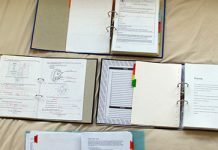 Hand written essays take up quite a lot of time and do not have the various tools available to a computer user. False starts, spelling errors and erasures and deletions all take their toll. Possibly the biggest con. Computers have made handwriting obsolete. There is no doubt that the cons of handwriting a high school essay far outweigh the pros. 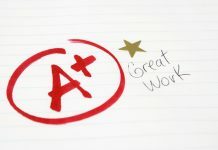 A handwritten essay may demonstrate certain abilities of the writer not evident in a typewritten essay but in the end, it is not so much presentation as the content of the essay that will merit the awards. 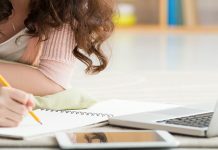 Given the flexibility of the computer as opposed to the days of schooling of the baby boomer era any person in today’s society would not dream of hand writing anything, let alone an essay.